The arrival of fall is always exciting for me. The air becomes crisp and cool, the leaves change, and coffee shops begin selling Pumpkin flavored everything! Most importantly, I get to cozy up in cuddly, cute sweaters. I know Tuesday is usually reserved for tee’s, but in light of the new month and the new season, I had to make an exception. 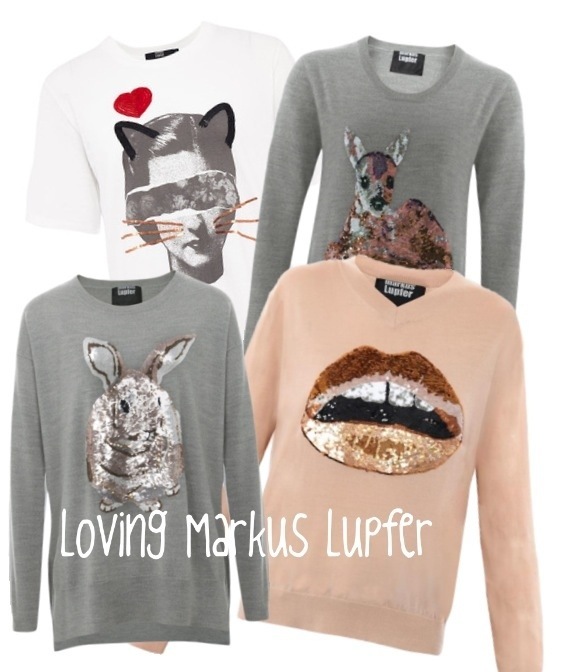 I’ve been admiring Markus Lupfer’s sequin cashmere sweaters for a while now. His whimsical designs would make a perfect addition to my fall wardrobe. Unfortunately, I have expensive taste. Thankfully, the good people at Honestly WTF have a ML inspired DIY project for those who can’t shell out the mondo bucks for a real one. Looks like I’ll be getting a little crafty this weekend! I love the one with the deer on it, these are really cute! Next Next post: Fake it ’till you make it.